When I started this roundup-style post in 2013 I thought it would be a once-off. But here I am, putting it together for the fourth year in a row (and still struggling to think of an extra heading each time....) and not only that but other bloggers actually join in too. I love getting a specially curated snapshot of the year in the life of a blog. And I enjoy looking back over my own witterings to see what I've deemed worth recording during my busy days. I always discover something I've completely forgotten about! You'll find a 'linky' tool at the bottom so if you feel inspired to write down your own 16 from '16 please feel free to add it below. This year I'm counting two most popular posts. 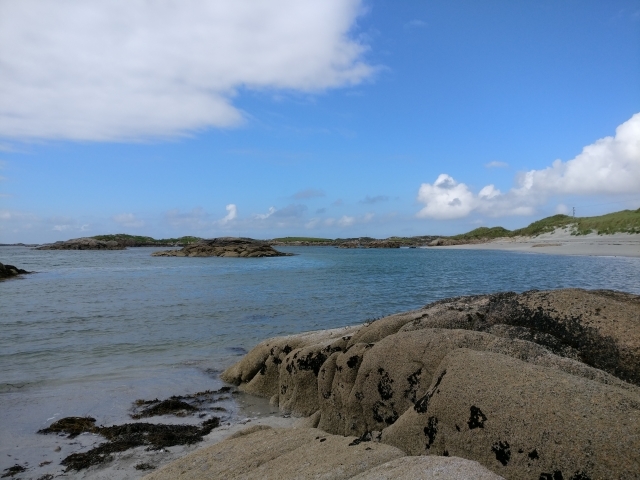 The post that brought the most hits to my blog was a piece about our trip to Rutland Island in Donegal. 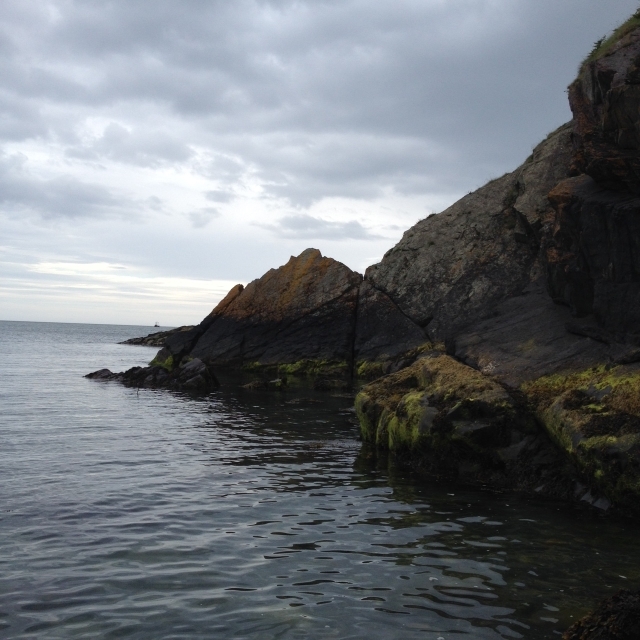 I mostly wrote it as a kind of holiday journal - to record our adventure for future posterity - but it got a few thousand views in a very short time. Donegal must be a popular spot! The other post that was popular got most of it's traffic on The Journal, where it was reprinted - 34k+ views to be precise. Here's the original and here's the Journal version. As is usually the case with these things, the post that was most popular is not necessarily the one I enjoyed writing the most. Although I really did enjoy writing about our trip to Rutland - and enjoyed being there even more - my own personal favourite was the post I wrote about my home town - Live Where You Live. It seemed to resonate with a lot of my old friends too and I got some gorgeous feedback about it. I feel like I have a million stories inside me set around where I grew up. Someday I'll write them all down. I don't know why I add this heading every year because I find it so bloody difficult to choose! I think this might be it. Maybe. There was London, Leitrim, Lustybeg and Donegal. There was (is) a new job after a long time of insecurity. There were countless little adventures closer to home. 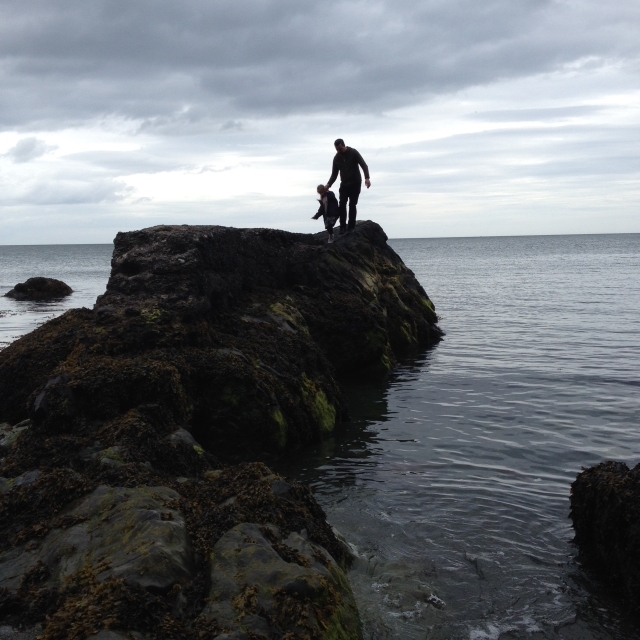 In forests and gardens and on beaches - but I think one of my favourite adventures was attempting to write a book for children. And then actually doing it. And then a publisher offering to publish it. And then pinching myself repeatedly since then about it. I'll tell you more about it in 2017 - but to be honest - I think this is just the start of this particular adventure! I haven't actually blogged it yet, but I made this little 'Craft Nook' for an advent craft swap hosted by Fionnuala from Three Sons Later. I was happily paired with Kasia, The Crafty Mummy, who I have been a fan of for quite some time, and knew that she is as crazy about crafting and tiny things as I am. I had a ridiculously nice time putting this together for her and I was delighted that it was well received. I don't think I managed any consistent theme at all this year. I didn't manage to keep a series of any description going and looking back over the year nothing consistent seems to emerge. Maybe that's the theme actually. I was extremely inconsistent this year. Especially in the second half of the year! But also... television... I've talked about TV quite a lot this year. Both about the show I presented, my new role as a researcher and watching a lot of Netflix! All of them. Every. Single. One. Apparently people don't really take the time to comment on blog-posts these days. Except for trolls looking to pick a fight. Or spammers looking to drop a dodgy link. So whenever I get a genuine comment from one of my lovely readers it really and truly makes my day. My grandmother celebrated her 90th birthday in June. It was a beautiful day filled with family fun and a huge celebration of her life. I'm glad there was such a big fuss made of her because, unknown to us at the time, we were to lose her only a few months later. She was a very special person and will always be missed. We're utterly heartbroken to be without her. Applying for a job I thought I wouldn't have a hope in hell of getting and then getting it. We got soooo luckyyyy this year in terms of working with brands. Not only did we get to continue as members of the Netflix Stream Team (which included an incredible trip to London!) but we had the opportunity to work with Sylvanian Families and Lottie Dolls as brand ambassadors and plenty of other companies sent us nice things to try. Being able to share these things with my family, friends and readers makes me very happy! Reaching the 7-year milestone and looking back to see how far I have come and how much this blog is responsible for. 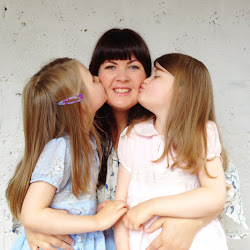 This blog began pre-parenthood, pre-redundancy, pre-a-lot-of-things. It's been a crutch to keep me going through tough times and a place to have fun too. I can't imagine not having it in my life at this stage! Again... titles are not my strong point. My book hasn't even got a working title yet, let alone an actual name... but I guess I was quite happy with Live Where You Live. It was the right fit for that piece. I haven't managed to keep a regular series this year at all! But I've really enjoyed reading series' on other people's blogs. I've especially enjoyed Lady Nicci's 'How I Write' series. I am obsessed with other writers and their processes at the moment and I always find these intereviews enjoyable. To not be afraid. When I finished university and had no responsibilities and no husband and no mortgage and no children, for some reason I was afraid to follow my heart and strive for a creative career, despite having always wanted one. Now that I have aaaalll the reponsibilities I have somehow shed the fear of not having a 'real job' (two years of surviving unemployment can have that effect, I suppose). In 2016 I bit the bullet and started working for myself as a freelance television researcher and a writer. It is a completely precarious profession but I'm LOVING it. It kept me busy when I felt I had no other purpose. It connected me to wonderful people and opportunities. It has become a small but significant part of my livelihood. It has given me a reason to continue to make things and photograph things and to keep looking around me for inspiration. It has made me happy. What a lovely round-up and I'm so glad you do this every year and give us a chance to look back before looking forward. You've had a fantastic year and I can't wait to see what's ahead for you in 2017! Thanks so much for joining in! I'm looking forward to 2017 too and SO excited to read your book!!!! 7 years! I take my hat off to ya. Congrats on the book and the job. I must have a rifle through my own blogging efforts of the year now. For a laugh. I'd be delighted if you'd join in! What a super year you've had. 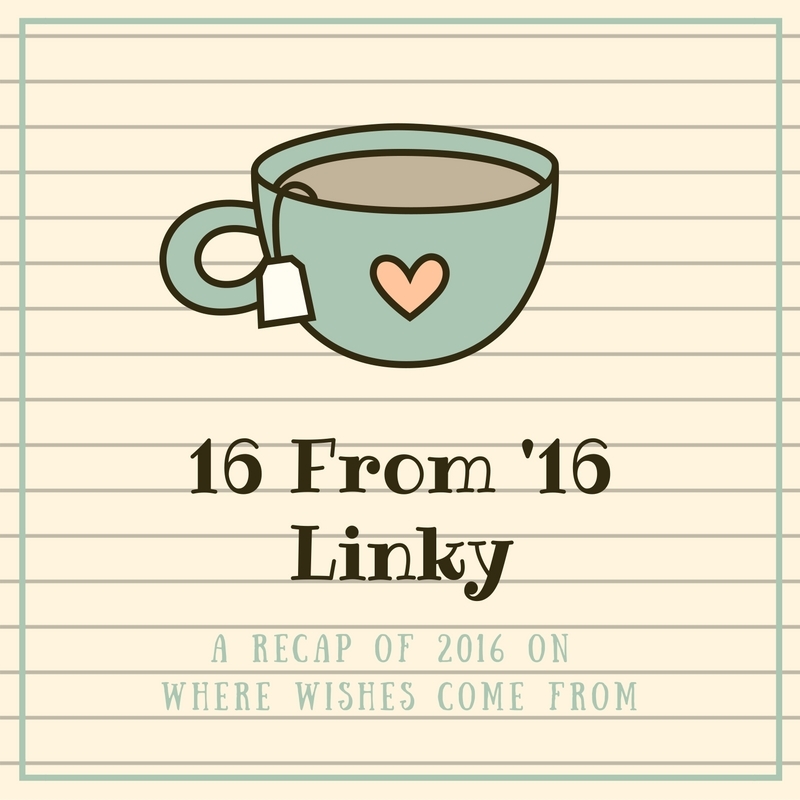 With all the negativity lately about 2016 it's also nice to see in this linky recap that there have been plenty of wonderful moments for many people in the past year. Always love your linky, you had an amazing year! Thanks for helping me look back and realise how much I have to be greateful for. I am looking forward to reading everyone's round up this evening! What a fab year for you and well deserved too Sadhbh. Thanks for hosting this linky. I'm delighted you had such a wonderful year. I love this linky (even if 16 is a bit of a challenge for me) and especially love reading others. Thanks for the opportunity. Looking forward to seeing what you have achieved this time next year, it looks like all is going so very well for you. I hope 17 is just as good for you and your family. What a fantastic year you had! Well done! I have really enjoyed reading your 2016 recap, as well as a few others. Here's to 2017!